Vera defines haute couture. 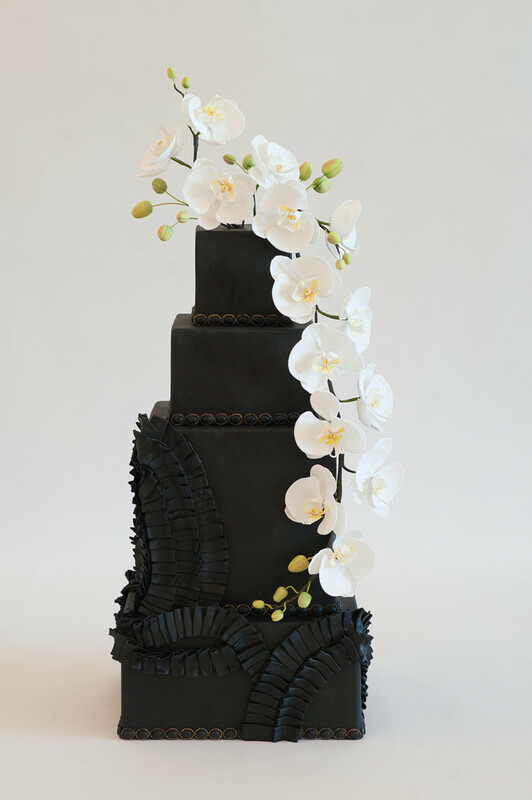 Fashionable sugar ruffles were carefully folded and manipulated to appear like fabric on the cake. 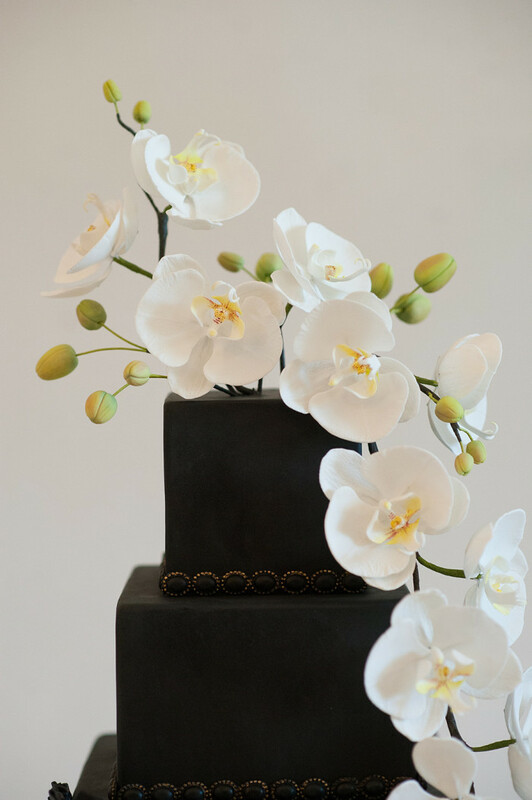 The delicate, white orchids and buds contrast and soften the ruffles while cascading down the cake. Wrapping around the base of each tier are hand-molded, sugar beads that were carefully painted in an antiqued metallic gold to add some shine. 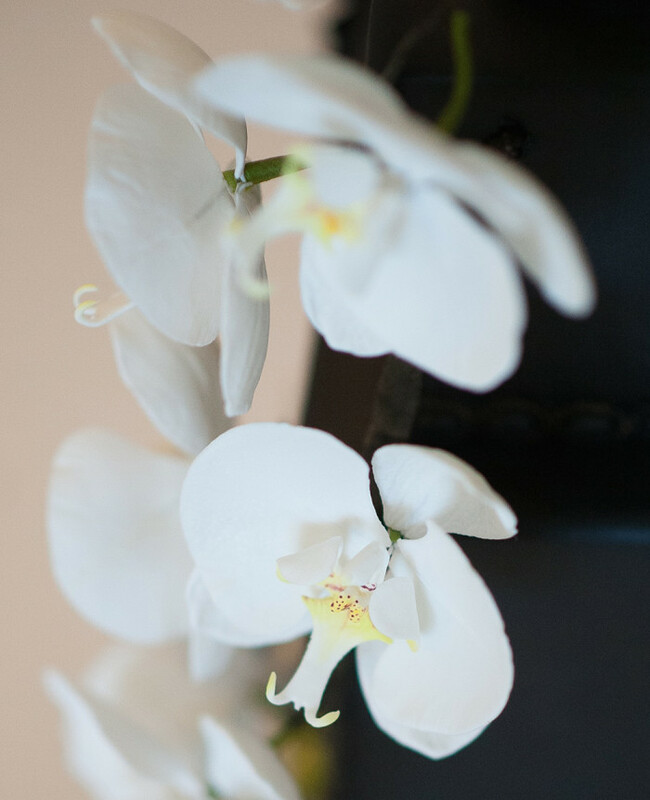 The beauty of this cake is in the daring color choice that is sure to make a stylish statement for the dare-to-be-bold Bride.